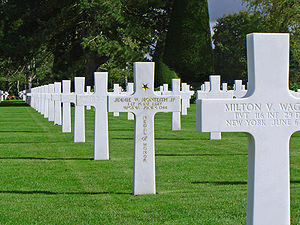 Today is Memorial Day in the United States, a day we honor those who have given the ultimate sacrifice for America. In honor of them, we are looking at the signing habits of some of the American Heroes from World War II. Walter Ehlers – Sargeant Ehlers won the Congressional Medal of Honor in France. He is currently lives and Orange County, California. He was featured in Ken Burns‘ “The War”. He is a very friendly and fantastic man. A great signer! Hershel Williams – A resident of West Virginia, Mr. Williams won the Congressional Medal of Honor fighting for our country at Iwo Jima. He is a willing signer and will autograph multiple items for anyone who asks. A fantastic man! George Sakato – Private Sakato won the Congressional Medal of Honor on October 29, 1944 Biffontaine, France. A resident of Colorado, he is a wonderful signer and willing chats about WWII. This great American is a real treasure. Bud Anderson – Colonel Anderson was a Triple Ace in WWII. He has published a book about his exploits and is an amazing individual. He is a great signer and is very interesting to chat with. Nicholas Oresko – Sargeant Oresko won the Congressional Medal of Honor during the Battle of the Bulge in World War II. A resident of his native New Jersey, Sargeant Oresko loves to give his autograph to anyone who wants it. This hero is one of the nicest men you will ever meet. Charles P. Murray – Colonel Murray won the Congressional Medal of Honor in northeastern France during World War II. He currently lives in South Carolina and is a very willing signer. This American hero doesn’t hesitate to tell stories about his time serving our country and is beloved by all who are fortunate enough to know him. This entry was posted in Uncategorized and tagged Bud Anderson, Charles P. Murray, Congressional Medal of Honor, George Sakato, Hershel Williams, Ken Burns, Nicholas Oresko, Walter Ehlers, WWII. Bookmark the permalink.